The Dupont Circle Club is a 501 (c) 3 non­profit organization whose mission is to “Improve Lives, One Person at a Time” by providing its diverse community with a safe, clean, organized, and welcoming space on behalf of a variety of 12­-Step Recovery Groups. All are welcome at DCC. Located just one block north of Dupont Circle, in northwest DC, we are near a wide range of coffee shops, stores, restaurants, galleries, an improv theater, yoga studios and many other attractions and gathering places. Currently, we rent our three meeting rooms to over 18 different fellowships. We welcome all people—young and old and from every walk of life—who are looking for help with any addiction problem. We are open for meetings 365 days a year, and there is always the chance for fellowship at “meetings after the meeting.” Most of all, we are here to offer the hope that things can get better. The Club is on the second floor at 1623 Connecticut Avenue NW; unfortunately, we do not have an elevator. Our entrance door is between Comfort Shoes and Lou Lou Clothing just north of “SUBWAY” (Sandwiches.) Smoking and pets are not allowed in our Club or the building. The Dupont Circle Club is easily accessible by Metro (Red line, Dupont Circle Stop), bus, or car (street parking is limited.) It is also a nice walk from many local neighborhoods and hotels. The Club sells recovery literature, anniversary chips, and a selection of hot and cold beverages. The two larger meeting rooms have restrooms. 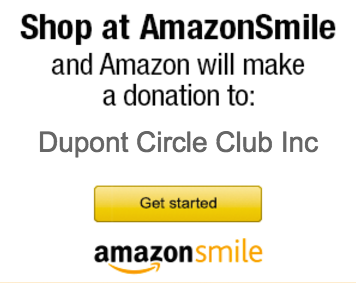 All contributions made to the Dupont Circle Club are fully tax-deductible, and will help us keep the doors open to the many hundreds of people who rely on the Club for their recovery. Remember– DCC is a 501 (c) 3 non-profit organization so all donations to the club are tax deductible!